It was a few years after the end of WWII, when we got our telephone and we were the first family on the street where we lived to get one. My father liked to “fiddle around” with little “handyman” jobs, and was drawn to the telephone gadget that was starting to become popular in the neighborhood. And it gave him an excuse to “fiddle around” with making a small shelf in a corner near the stairs going up to the 2nd floor, on which to place the new telephone. I can still see that picture in my mind. The telephone changed color and placement. My Mom got a phone installed on the wall between the kitchen and hallway and it was YELLOW! And it had a VERY LONG CORD! Privacy was no problem. The cord extended all the way into the living room, and the adolescent me could talk for hours to friends. Mom would get impatient, especially if she was expecting a call. There was no beep signal to advise a call was coming in. The caller would get only a busy signal. There was no telephone extensions needed; however, I don’t remember if they were available then. The house was small. The phone was easily within reach, and I remember spending hours propped up against the living room wall, stretching the phone cord until it was ready to shout, “Help.” Over years, it was stretched out to double its original length. That same yellow wall phone was one of the main reasons why I fell in love with my first husband, Dan. He had a deep and expressive voice. I’m sure that was a strong part of the reason for my attraction to him. We spent days of hours on the phone, even though he lived just down the block! When Dan and I and our children moved to Long Island, NY, phone installation was high on the importance list, AND we had an extension in the bedroom! And we were the first of our family and friends who got an answer machine. As it was ’round the world, our personal reliance on the telephone was fast becoming the most important aspect of communication. We found it important that, if we weren’t home, callers could leave a message! BTW, that answer machine was humongous. It also had two tapes – one for the greeting and one for messages. If the message tape ran out, later callers couldn’t leave a message. We took that answer machine with us when Danny and I moved to Florida. It served its purpose beautifully. Time passed, and I moved on with my life, and the answering machine disappeared. Next came the cellphone. I purchased my first cellphone in 1997, and the only available plan was for 15 minutes a month! I bought it for “emergency” purposes. It was big, heavy and cumbersome and didn’t come in colors. But it sure came in handy when needed. It was literally a lifesaver. Several styles went by the wayside – flip phone, small display windows, and finally, the SMART PHONE with the huge display. I love my mobile phone (notice it’s no longer just a cellphone), It is not only my mobile phone; it is also my mobile computer. My whole life is on that precious gadget. I’m taking a different tack: Putting the usual moral of story at the beginning. Moral of story: Do a better job of planning visits, celebrations and finding out what kind of seating the restaurant has. The bane of my life since age 20 has been the results of a bad fall which left permanent damage to my lower back, but not eligible for surgery. Off and on the flareups incapacitated me seriously, and finally, a very severe one occurred while at work several decades ago. One of my coworkers suggested a chiropractor who helped his father during a very bad back pain. I went, even though I was a child of the time when the AMA was bad-mouthing chiropractors as “quacks.” I was desperate. He helped a great deal, and after a few visits, I seemed to go back to “normal.” No pain, and active again. I’ve had to visit chiropractors more frequently as I’ve grown older. Naturally. Patches, my old girl Eoxitic Shorthair of 15 yrs., had to have her teeth cleaned and, being a stressed cat, she needed gabapentin to calm her for the non-anesthetic dental; had to prepare for an out-of-town visitor in a couple of days; celebrate my birthday with my son and his wife for a luncheon; daughter’s visit for a couple of days (she’s a pleasure – no special preparation); going out for birthday dinner; disrupted household, which also upset my 2 cats because our daily routines and loving attention were not going very well; had to visit chiropractor 3 days in a row for help with back pain; telephone from HOA office to advise pickup truck (belonging to visitor) is not allowed overnight on the driveway (stupid, in my opinion) which necessitated going back and forth to daughter’s house where truck could stay overnight for 2 nights which meant mornings and evenings (4 trips back and forth altogether); and aching back. That’s my recent story. The stress of too much coming together hit my weak spot. Sleep was difficult. Bed was out of bounds for 3 nights, and had to “sleep” sitting up on the loveseat. The pain was very bad – needed a walker to get around in the house, and my greatest concern was taking care of my cats. After 3 weeks, and more chiropractic visits, I was starting to feel better, but then, Rusty my almost 13 yr. old Exotic, starting showing weakness in his back legs 4 days ago. They were flip-flopping. Visits to veterinarians are stressful all around. Two visits and X-Rays and pain meds for him. Hopefully, this will improve in a couple of weeks, according to vet. But, between Rusty and Patches (who has trouble walking), it means lots of bending and lifting. 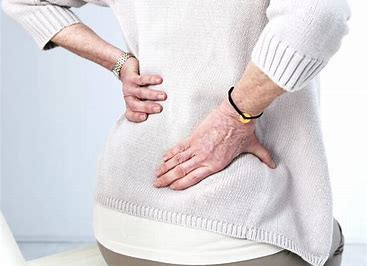 Things were still going upwards concerning my back, but then, I went out for dinner at a Greek restaurant yesterday with my SOLOS Club, and I’ve been set backward. The chairs were hard; there was a very thin layer of foam under the covering. I knew when I sat down I was going to be in trouble. And today, I’ve slid down in my recovery. BTW, I really did enjoy dinner out, because the food and wait staff were good, and the chatter around the table was excellent with my friends. But, sometimes, pleasure comes with pain afterwards. For me. Dry Eye is an actual disease! I was born into a family (on mother’s side) that suffered with myopia (near-sightedness). I say “suffered” because I always hated wearing glasses. While in the 2nd grade, I had trouble seeing the blackboard. I never realized, of course, that I had a sight problem, because the poor eyesight was “normal.” Didn’t know what I saw was actually blurry. After a report from my teacher when I was seven, my Dad took me to a doctor to get new eyeglasses. On the way home, upon looking out the window of the car, I remember shouting, “I can see.” A whole new world was opened up! Of course, I suffered with the horrible, ugly and malicious taunts from other children about the eyeglasses. “Four eyes” was the most hurtful, I remember. During the ensuing years, after school, I didn’t wear those hated glasses. Going on the subway into Manhattan, I had memorized the various subway stations, so that I knew, without looking, which station to exit for work. If photographed, they were quickly whipped off my face. During a summer stint of working in a camp as a counselor, before the start of school, I never wore them. Somehow, I managed. My sight wasn’t so bad that I wasn’t able to “get along” in the Connecticut countryside. Many years later, when contact lenses came onto the market, I tried on the glass ones, but that didn’t work out too well at all. Scrapped that. When I was married and a mother, the soft ones were available and much more easily managed, so I was hooked. Very happy not to have to wear glasses; although, some years later, I did need reading glasses. But that was very manageable. Decades later, I started to feel quite a bit of eye discomfort, and it got to a point when I couldn’t feel comfortable wearing contacts anymore. 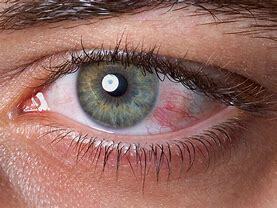 Sight was cloudy, eyes were dry when wearing contacts, and no amount of “Refresh” eye drops helped. So I researched Lasiks. It was at the very start of that sight correction alternative. I decided to wait until the “bugs” were removed and the process was refined. I waited 4 years. On my late husband, Bob’s, birthday, back in 1998, he drove me to get my newest sight correction: Lasiks surgery. Great birthday present! Afterward, while still in the doctor’s office, I looked out the large office front window and could see perfectly clearly, the trees across the street! Of course, I still had to use readers, but the trade-off was wonderful. Fifteen years later, my eyes had age-related changes, and the great Lasiks results were diminishing. 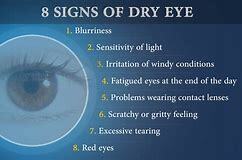 One of the most visual signs were the forming of more visible red veins in the whites of my eyes, and there was one quite prominent one in my left eye, as depicted in the picture above. My eyes became very dry – tears were not being manufactured in a more normal fashion; however, my eyes were tearing quite a bit and itched. These were signs of ageing, for sure. It took a few years of miserable discomfort and bottles of lubricants and all sorts of eye drops that eventually made me realize I needed to see an ophthalmologist. DRY EYES! I also had damage to my corneas! RESTASIS has slowly repaired the damage to my cornea, but it’s not known if my corneas will fully recover. In the meantime, a combination of those prescribed eye drops, and OTC lubricants during the day, have made a difference. Not as good as I was hoping for, but I have to realize it took many years to get to this place. The ageing process. I can still read, watch TV, go to the movies, have meals with friends and family, and post on computer and phone. So, I’m happy with what I can accomplish. BTW, in four more days, I’ll be an octogenarian. I am weary and stressed and I falter in my strength to fight back. They are throwing so much at us and so quickly, that it is difficult to maintain the level of resistance as I had in the beginning of this devastation. They are jack-hammering at the foundation of our very existence. We are feeling the vulnerability and helplessness that they, in their evil wisdom, knew would come. Can we last – can our democracy last – until the midterms next year? Or will the damage be so great that it will be too difficult to repair? Do we see a civil war in our future? tRump is allowing all police departments to buy surplus military weapons so that he can control any uprising. He will not hesitate to have them shoot down all unrest. I fear we are in the throes of a dictatorship in our near future. How can we wake up those, who are in their blissful ignorance? I have been following all the political garbage – Republican garbage – since before the election; hence, no time or strength to post on my blog since many, many months ago. I’ve missed many of my followers’ postings; although I look in at your blog postings occasionally, listed on my email inbox. I’m in the sunset of my life, and to think that our beautiful democracy is fading and falling into a dictatorship/oligarchy, is devastating. I know there are many out there in the blogosphere, who disagree with me, but I also know there are many who do. I participate in a small group of senior ladies, numbering between 5 and 8, depending on who can make it. We make a concerted effort to get together the last Thursday evening of the month to go out to dinner. Yesterday, our designated driver picked up 4 ladies (including myself) in her SUV. Now, we are not your “everyday-type” of senior ladies. We are all special in our own ways, and stand out because of our very personal individual characteristics. We treasure each other because of, and in spite of, these. A sense of humor is most important! One lady sits in the back and must get in on the driver’s side where she finds it easier to enter; another must sit in the front passenger seat; the thinnest of the group sits in the middle so she can get the full brunt of the a/c vent, and then I’m left to sit behind the front passenger seat. Throw in aching, painful back problems, difficulty in walking, difficulty in getting in and exiting the car, and with three of us using canes to assist in walking, we were a fine, healthy bunch of women. 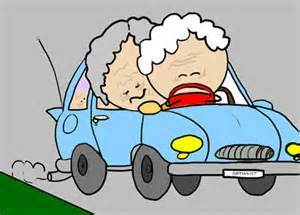 Toss in young at heart and a keen sense of humor, and you have the makings of a great pot of senior ladies’ soup. Oh yes, we mustn’t forget about Ms. Driver. We are aware of her strong driving personality. We all brace ourselves by holding on to the handles above the doors; grasping the door wherever we can find a finger-hold; and not to mention gripping the backs of the front seats to steady ourselves – particularly when going over bumps, train tracks and most importantly, getting ready to stop at a traffic light or stop sign. 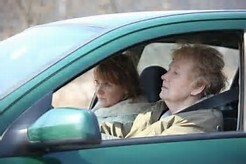 Ms. Driver is a very thoughtful woman and has a heart of gold; however, when she’s behind the wheel, we all hold our breath. We take it all in stride. 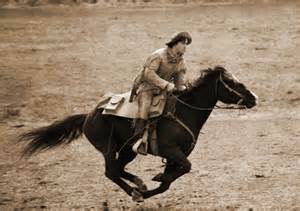 Even though some teeth-mashing occurs, we always seem to arrive safely and in one piece. This evening, we weren’t so sure about arriving at the restaurant in one piece, due to an incident that occurred when we were only one block from our destination. We had to slow down because a man was walking a motorcycle in the middle of the road. He didn’t seem to notice the sound of the car’s motor, and had no awareness about our wanting to continue down the street. So, Ms. Driver blasted the horn. The man turned, looked very upset, and left his motorcycle where it was, came over to the side of our vehicle with an angry face, yelled something unintelligible and threw his fist at the car. It landed on the post between the front and back windows. Hard! We thought he must have broken his hand, or at least, dented the car. Properly frightened, we sure were. What if he had a weapon in addition to his fist? Ms. Driver was able to scoot around his motorcycle. We kept watch, looking back, worrying that he might get on the motorcycle and do something dangerous and irrational which would cause us harm. We finally drove into the lot in front of the restaurant, parked, and Ms. Driver had her finger over her phone, ready to call the police. We continued keeping an eye out for that crazy guy, exited the car and hurried in. We didn’t take our eyes off that guy. We could see that he was looking up and down the street, obviously searching to see where we went. He evidently didn’t see that we pulled into the lot. Finally, we saw him walking his motorcycle down the street. He passed us by. Don’t you think we kept looking outside while in the restaurant, to see if he would come back? Of course. It was an exciting evening in more ways than expected; one, I believe, we will be talking about for a long time. Speaking of making a statement!! For many decades, the media has idealized their image of the “perfect woman”, going so far as to photo-shop pictures of models to inhuman proportions. Culture dictates that looks are important. The message comes across to females of all ages and shapes that they do not measure up. For many women, this expectation can damage their self-esteem. In recent years, a backlash has been building against the media’s message, and rightly so. Many women, along with some men, are speaking out, their message being that beauty comes in all shapes and sizes. It is time for us to be comfortable in our own skin. In the following video, presented by HLN, Amy Pence-Brown puts her message forth by stripping down to her underwear in the middle of an outdoor market. The response is heartwarming. Our Dad was a techie nerd or nerdy techie – whatever you want to call someone in the 50s, 60s, 70s, and 80s who loved all the newest electronic gadgets on the market. My awareness of his interest in electronics began when we lived in the 2-storey house on E. 42nd Street in the “dead end” behind the largest cemetery in Brooklyn. What were these gadgets? 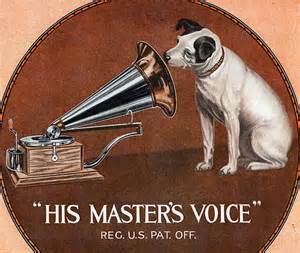 The Victrola and RCA Victor “his master’s voice” records (he had a one-sided one on which was recorded the Anvil Chorus). He was the talk of the family and neighborhood with that one. Another favorite record was “Humoresque” by Dvorak. He played it over and over. I was a very young girl at the time – 9 or 10 years old. A new black, heavy metal (it-wasn’t-going-to-fall-to-the-floor heavy) telephone with holes in a circle that you put your finger (usually the index) into, in order to “dial” someone’s number. 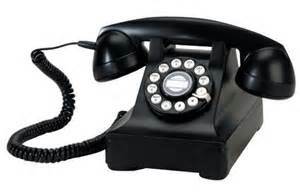 (We still use the word “dial” when we speak about calling someone’s number – never say, “key in” or “push the buttons.”) Numbers like CLoverdale 8 or HYacinth 7 or MUrrayhill 2, etc. were the rage. Remember those? I’m speaking about New York prefixes. At a time when there weren’t any area codes, and to get connected to someone in another city, you needed a Bell Company operator to connect you. I remember our phone had a very heavy receiver, and we couldn’t speak long, because the weight of it made our hands very tired. After I was married, and lived in Brooklyn, we had a CLoverdale 8 number. Dad built a shelf for the phone in a corner of the dining room near the stairs going up to the second floor of our house. The only thing missing was a chair. But we really didn’t need a chair. The stairs were comfortable enough. We were also the first family on the block to get a TV. It was placed in the far corner of the dining room (opposite corner from where the record player was situated). The screen (10 inches wide) sat in a large blond wood cabinet. All the neighborhood kids were invited in to see this newfangled machine. Everyone complained that it was too small to see the picture. My father solved that problem with a big magnifier that was available. Some smart inventor came up with that idea – “necessity is the mother of invention.” That monstrosity stood on a heavy stand and stood about a foot away from the small screen. The image sure was bigger, but it was distorted. The magnifier was not doing the job to anyone’s satisfaction. So, we did away with it, and just had to move closer to the TV. We had moved away from E. 42nd Street when I was about 12 years old. Life went along, and I got married and then my sister got married. After she got married, Dad took over the bedroom we had shared and made it his den with comfortable seating, etc. This was before the term, “man cave” became popular. Dad set it all up with his (newer, of course) record player, shelves for his large collection of records, his radio, and telephone extension. Wires were spaghetti-ed all over the room. I don’t think Mom liked that idea too much, but she couldn’t do anything about it. Years later, Mom and Dad moved to Florida. 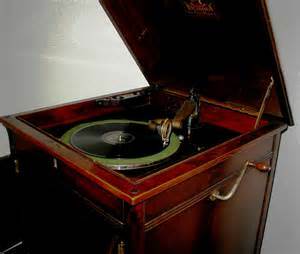 Of course, Dad set himself up with his cabinets and shelves in the “Florida room,” and with his recording and dubbing machine, his myriad of records, and hundreds of blank tapes that he used to record programs and movies starring his favorite stars, starting with the silent films. Their community had a special TV channel on which residents could view all these “oldies but goodies.” Dad had literally hundreds on tapes. He had books where he organized and categorized and cross-referenced and stored every one of them. I think he would have loved computers. 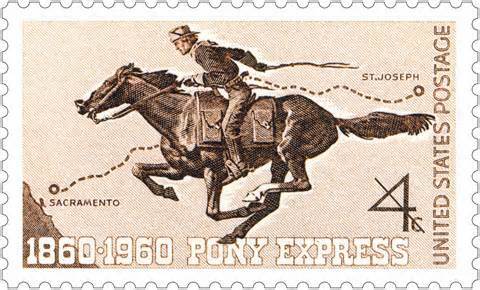 We’re too old to remember Pony Express, but we’re not too old to remember when stamps were only 4 cents. Well, maybe just some of us. The increases in postage for a letter or postcard have seemed to occur before we finished turning around from the previous raise in rate. The U.S. Postal Service has to roll the price back, the effect of a ruling that allows the post office to collect $1.1 billion to cover its recession-related losses. What about my losses and yours? Are we supposed to jump up and shout “Hallelujah?” We still have to pay 49 cents until – when? Eight more months!! Well, if all goes according to Hoyle (who’s that? ), we should see a drop – a what? 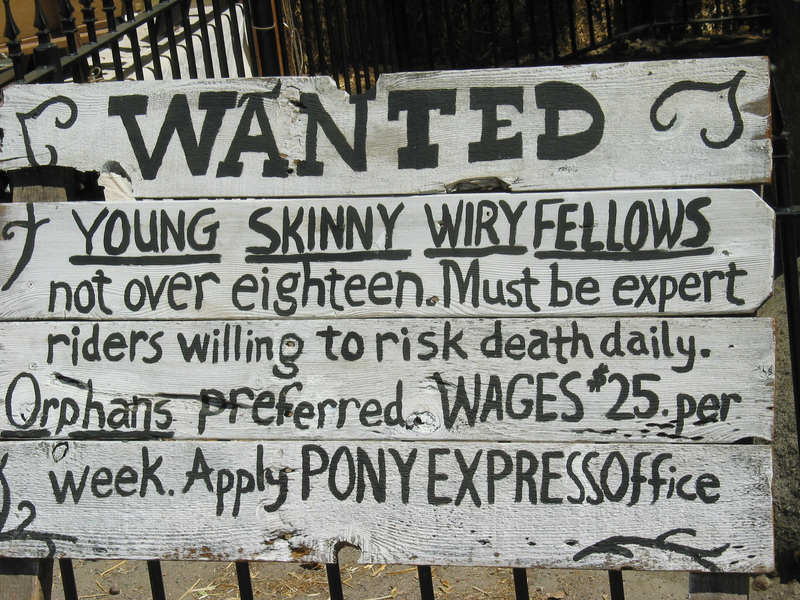 – in postage rates. I wonder where that $1.1 billion’s coming from? 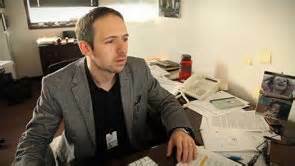 If the USPS has to roll back its rates at the end of 8 months from now, that means we’ve been paying and will have paid that $1.1 billion for – let’s see – seven or eight years? I may be a little off, but you get the idea. Any guesses as to how much the USPS is going to lower their rates? One cent, or two? “They’ll have to change the textbooks.” This statement, by Kevin Lee, PhD, Chairman of the UVA Department of Neuroscience, is the result of a study at the University of Virginia School of Medicine. 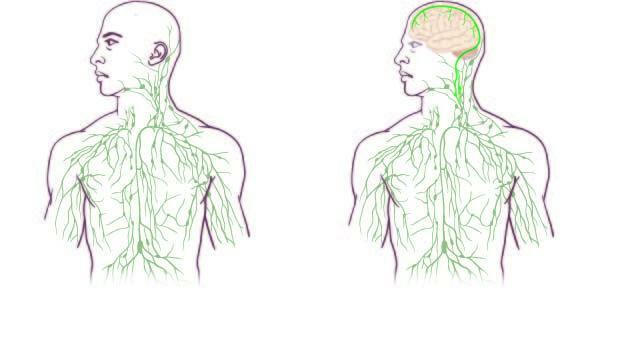 The study, awarded to the UVA Health System and funded by the National Institutes of Health (NIH), has shown there are heretofore undetected lymphatic vessels connecting the brain to the immune system. Researchers knew there was a connection between the brain and immune system, but the vessels were completely hidden. Now, there are many new angles to exploring neurological disease. This is a stunning discovery. It is difficult to explain how these vessels in the brain were overlooked when the lymphatic system was explored. New avenues of discovery are now possible and beneficiaries might be MS, Autism, Alzheimer’s and maybe even ME (Myalgic Encephalomyelitis)! At the end of the day …. “Letter From A Mother To A Daughter”! !